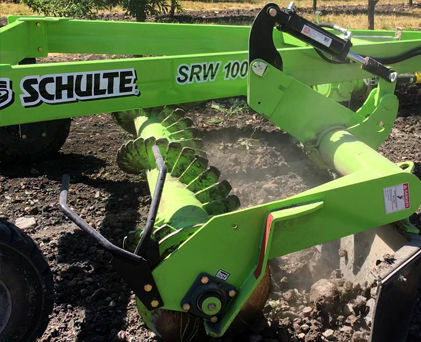 A mid-size machine with roto-tilling action that breaks up lumps and levels the ground. Transports at 3.4 m (11’2”) allowing you to go through a 12-foot gate. 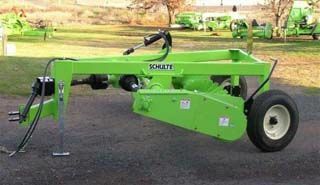 Windrows 2” to 25” rocks with ease, forming them into uniform rows ready for pick up by a Schulte Rock Picker. 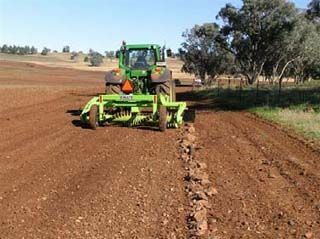 Roots, stumps, chips and other debris from land clearing operations can also be windrowed. 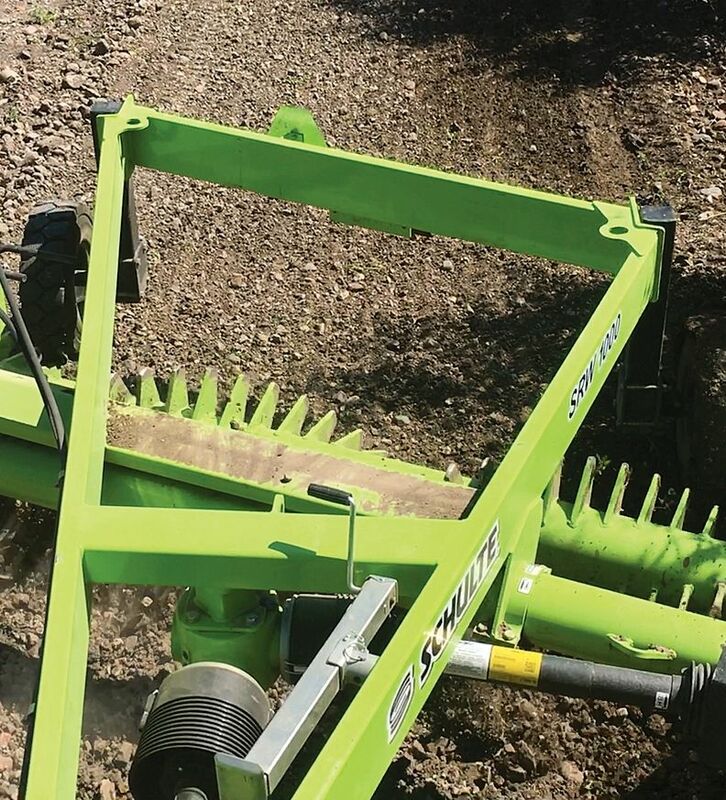 Power is supplied to the windrower drum via a heavy-duty PTO drive line which includes a slip clutch and shear bolt arrangement for protection against excessive shock loads. The final drive chain is totally enclosed for longer service life. The windrower drum is 3.05 m (10’) wide and is constructed of 219 mm (8 5/8”) heavy wall HSS tube. Patented floating drum results in excellent ground following characteristics. Hard surfaced, 15.9 mm (5/8") thick x 152.4 mm (6") long teeth are welded directly to the drum pipe, resulting in problem free operation even in difficult conditions. 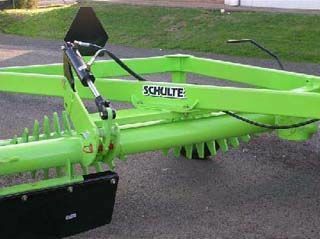 The long teeth increase the combing action of the rake for superior windrowing. 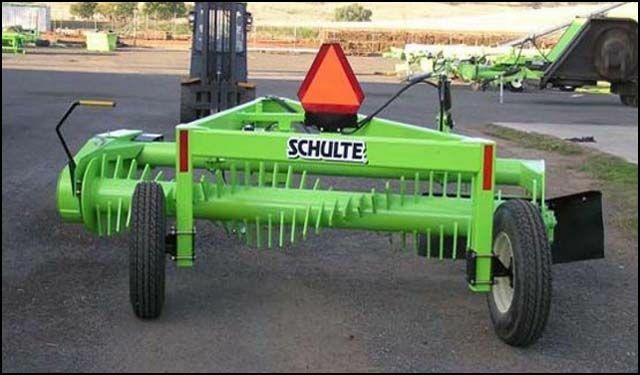 As a bonus, the windrower has a roto-tilling action, which breaks up lumps and level the ground. 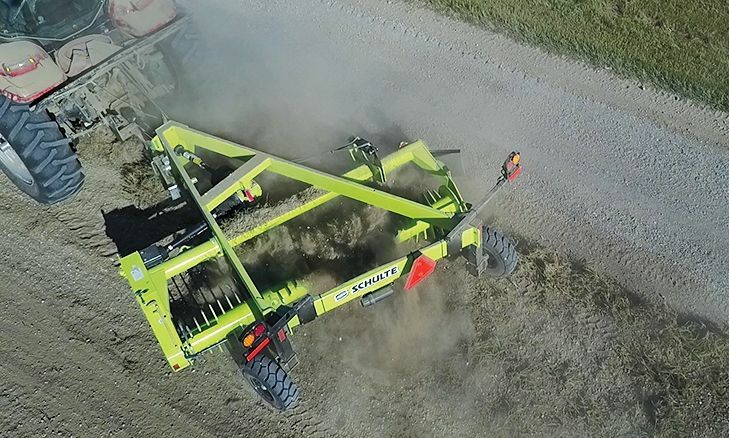 The side delivery frame arrangement allows the operator to better control the size of windrows, regardless of rock conditions. Full one-year warranty on materials and workmanship.